This week we bring you a super simple Keto recipe. 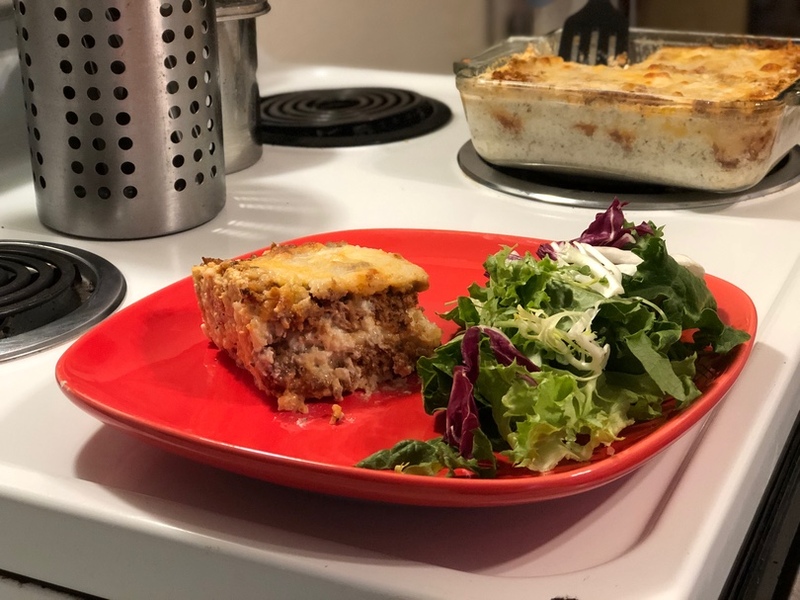 A No Noodle Keto Lasagna! Quick and easy to prepare with one small caveat. For the best results this dish must sit overnight after you bake it. So this is a great dish for planning ahead, say on a Sunday night with plans for eating for a family dinner on Monday. This is a delicious and easy to make Keto No Noodle Lasagna. For the best results this dish should sit overnight after you bake it. Brown the meat and season to your desired flavor. I used garlic, oregano, and pizza seasoning. Heat cauliflower in microwave for 4 to 5 minutes until slightly softened. Combine the cottage cheese and sour cream and heated cauliflower, season if desired( I used garlic and oregano). Layer into a greased 2 quart casserole dish beginning with the cottage cheese mixture, then meat sauce, top with 1 cup shredded cheese. Repeat for a second layer, ending with shredded cheese. Bake at 350° for 30 minutes until golden and bubbly. Reserve casserole overnight for best result. Reheat and serve.